Yes, Your New Car Has A 'Black Box.' Where's The Off Switch? 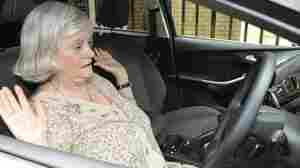 March 20, 2013  Most newer cars have recorders that collect data at the moment of a crash and preserve key information. The data is meant to improve safety, but it's also useful in court. The federal government now wants to make the recorders mandatory on all new cars, but privacy advocates say people should have the option of turning their cars' recorders off. February 13, 2013  In the 2010 model year, the most dependable cars and trucks were either new to the market or had been through a major redesign, according to a study by J.D. Power and Associates. The finding contradicts the traditional stance that consumers should let carmakers work out the bugs in a new model before they buy. December 17, 2012  Carmakers are taking advantage of innovations in electronics and software to trick out the interiors of their vehicles. The gizmos appeal to tech-savvy buyers. But those interior features are quietly aimed at another audience: aging baby boomers. 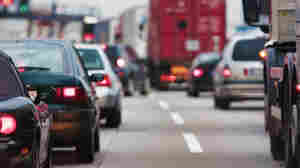 August 21, 2012  Some day, your car might be able to "talk" to other cars and traffic signals. In this brave new world, wireless devices will alert drivers to traffic jams, dangers ahead and even take control of the vehicle from the driver to avert a collision. In Ann Arbor today, the largest real-world test of connected vehicles was launched. 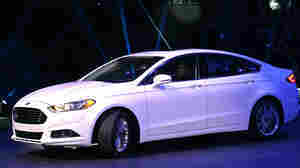 February 15, 2012  Toyota and Ford won the most awards in the J.D. Power and Associates 2012 U.S. Vehicle Dependability Study, which came out today. Vehicles made by Toyota led the way with eight awards, while Ford models received three. In general, vehicle dependability was the best since 1990, J.D. Power says. 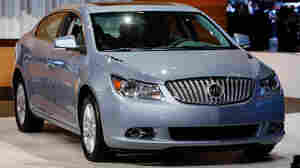 January 4, 2012  America's Big Three automakers experienced double-digit sales growth in 2011, helping the U.S. market continue its rebound from a dismal 2009. With annual reports out today, Chrysler says its sales were up 26 percent, while General Motors and Ford Motor Co. reporting gains of 13 and 11 percent, respectively. 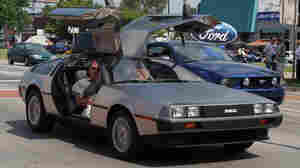 A 1981 DeLorean is seen in a commemorative cruise in Michigan. A Texas company plans to make electric versions of the iconic car. October 18, 2011  There's a new DeLorean DMC-12 coming out — or rather, there's a new version of the stainless steel wedge of a sportscar that became an icon of '80s cool. But it won't run on gas — it'll be electric. And it won't require a nuclear reaction that generates 1.21 gigawatts, either. 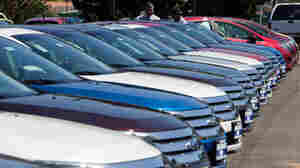 White is the favorite color for 2011 cars like these Ford sedans on a dealership's lot in California, according to a market study. October 5, 2011  About 21 percent of the cars built for the 2011 model year went to market wearing white paint, putting the color ahead of black and silver, which tied for second at 20 percent, according to PPG Industries, which calls itself "the world's leading manufacturer of transportation coatings." 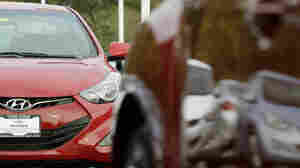 October 26, 2010  Despite gains by Ford and GM, Honda and Toyota make the most-reliable cars and trucks sold in America, according to Consumer Reports' latest annual survey of drivers. October 3, 2007  What will the cars of the future be like? Here's a hint... they won't be running on gas.